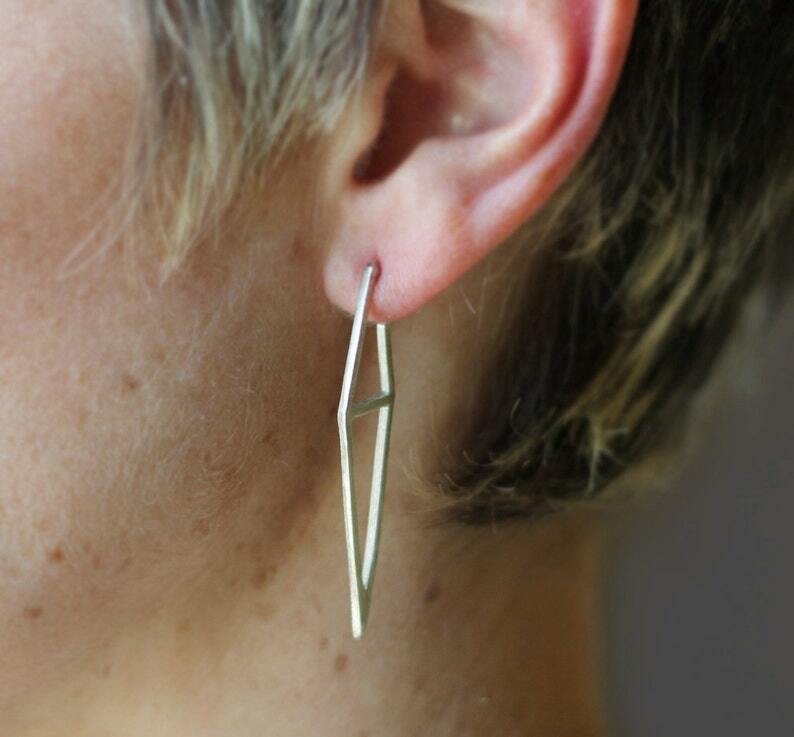 Modern, geometric, unique spin on the every day hoop/dangle earring. These sterling silver earrings are approximately 2 inches long by .5 inch wide. 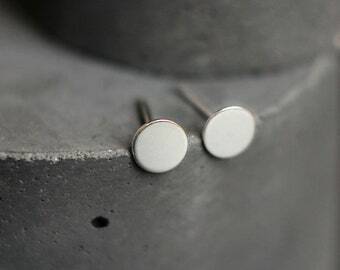 The earrings feature a post/earnut style of closure for comfort and security. Oxidized version is available upon request in message to seller! Multiple orders will ship in one jewelry box. If you need more than one box, please convo me. Thanks! Very pretty and nicely made. Shipping slower than expected, but well packaged and seller responded to communication. I purchased a pair of these earrings two years ago. These are one of my favorite pair and I purchased again to replace an earring I lost.